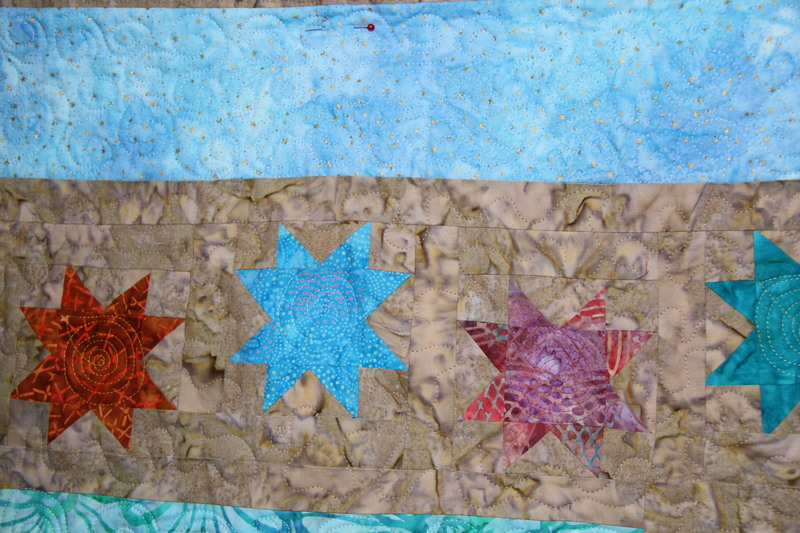 I have been very busy piecing and quilting a wall hanging for an artist in the highlands of Scotland. 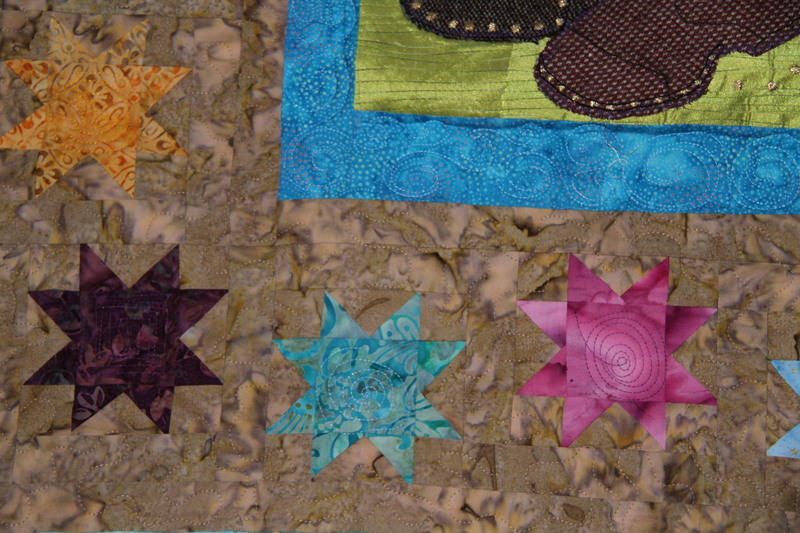 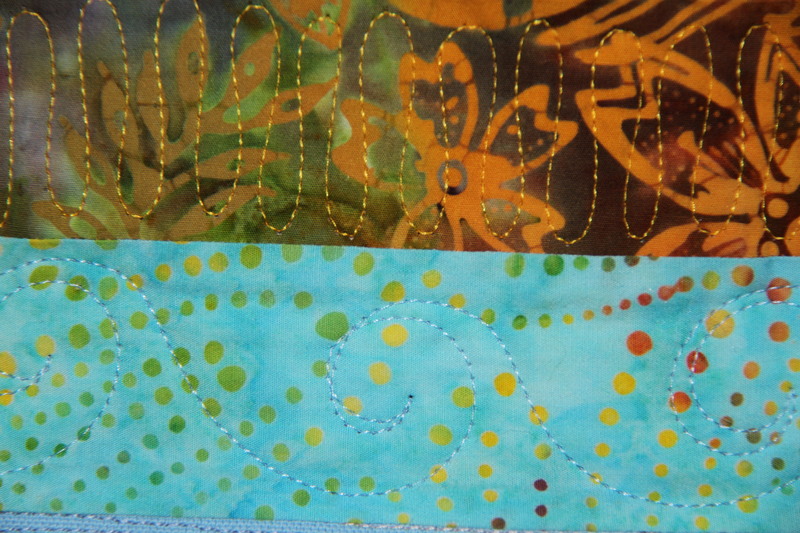 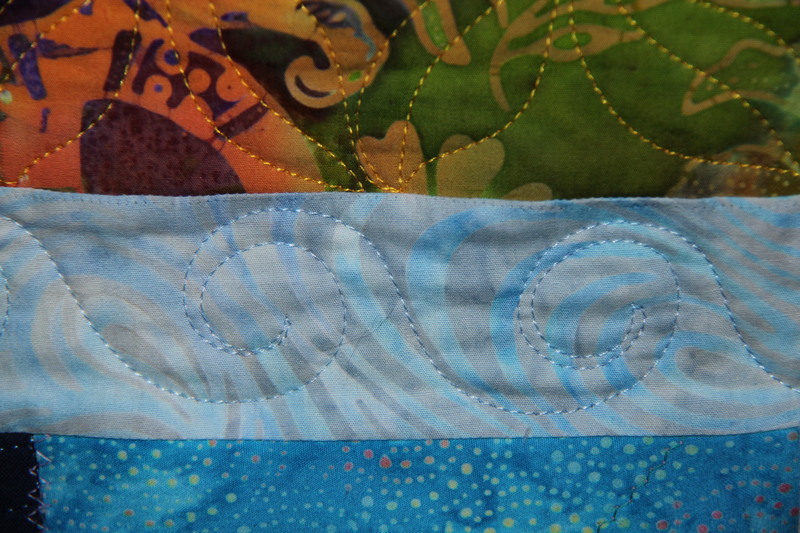 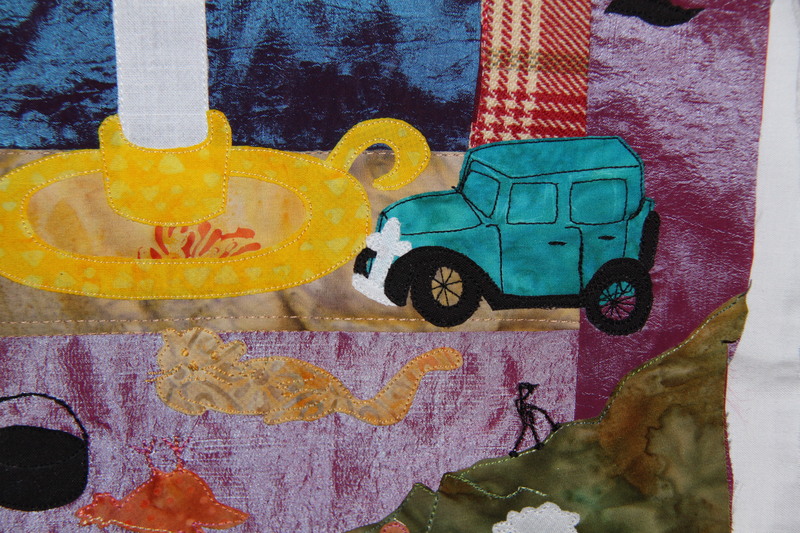 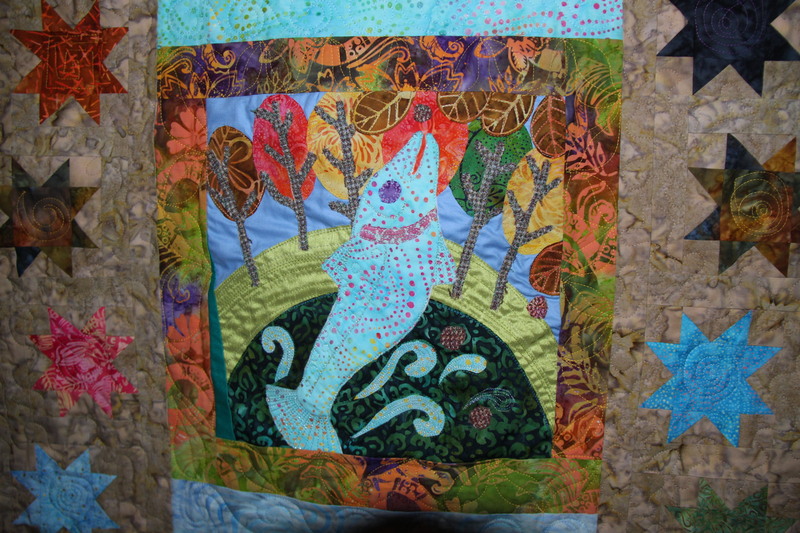 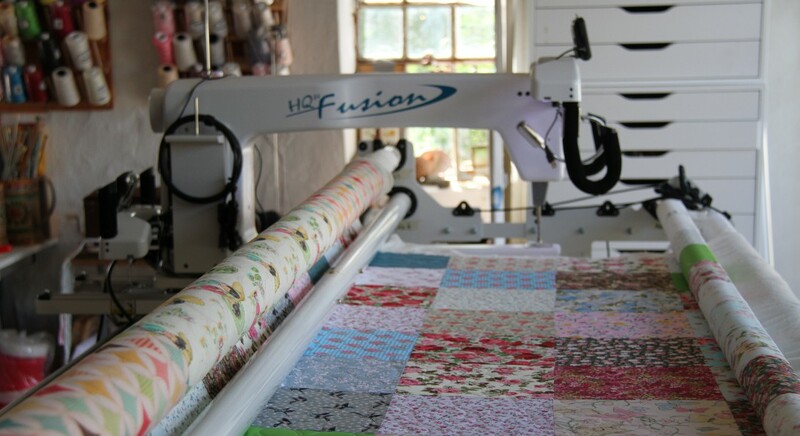 The quilt will be shown on the 14th of November so I can only show you a sneak preview for now. 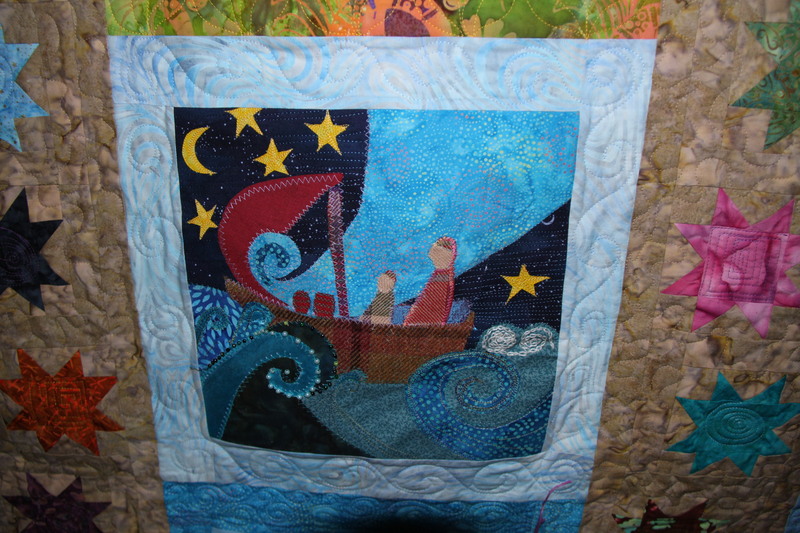 I will post the whole quilt after the unveiling.